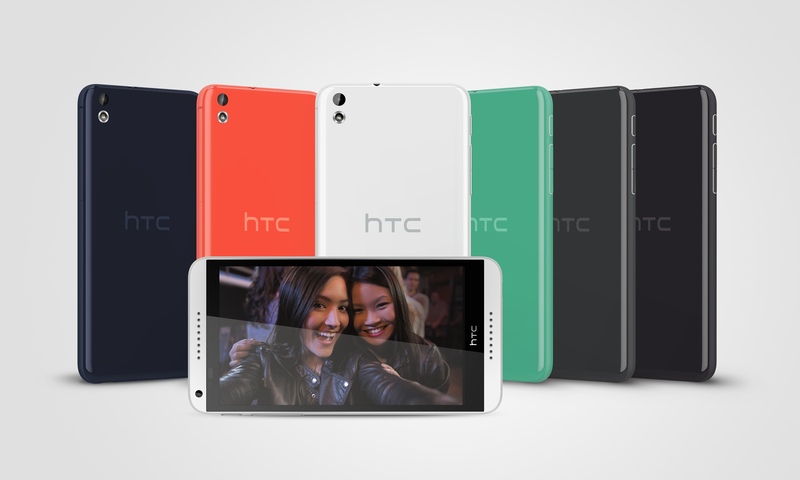 After details of the Desire 8 leaked last week, HTC made it official, announcing that the Desire 816 is the first phone in the new lineup. The company unveiled the handset on Monday at Mobile World Congress and touted the phone’s design, which is similar to the HTC One. No pricing was announced although that should appear soon: HTC says the Desire 816 will release in China next month with other markets to follow. All of the phone’s specifications line up with the leaked information, showing a big but decidedly mid-range handset. Qualcomm’s Snapdragon(s qcom) 400 with 1.6 GHz quad-core CPU powers the phone, which has 1.5 GB of memory and 8 GB of internal storage. An optional microSD card can add up to 128 GB of additional user storage. The 5.5-inch display offers 720p resolution and the phone will work on 3G and 4G LTE networks around the world. The handset will run Google’s(s goog) Android software with HTC Sense. One standout is the pair of camera sensors: 13 megapixels on the back and 5 megapixels on the rear. Both are backside illuminated to help in lower-light situations and each is capable of 1080p recording. The handset also has HTC Boom Sound capability to boost audio. It’s difficult to suggest that HTC will have a hit on its hands with the Desire 816, mainly because the company hasn’t shared the price. Based on the specifications I think an off-contract cost of $299 or less is possible, but that remains to be seen. If HTC can deliver this hardware at or below that point, I think it can do a world of good to boost the company’s sales.